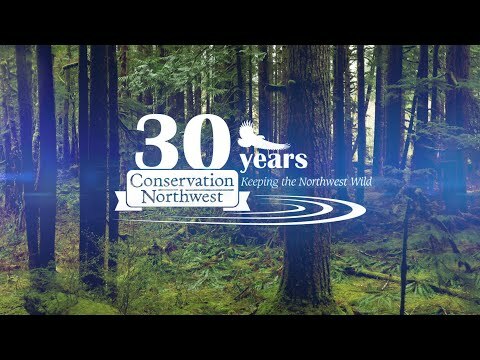 You may have heard the exciting news that we at Conservation Northwest decided to affiliate with the National Wildlife Federation (NWF). This is a proud moment for us, as NWF is America’s oldest and largest national conservation organization. It’s also a proud moment for me, as I first joined NWF as a member in my early teens. We’re a great cultural fit, as CNW and NWF share a pragmatic approach to protecting landscapes and majestic wildlife. NWF seeks to have an affiliate in every state of the nation. Washington has been a gap in that list in recent years. It’s affirming that NWF thinks highly enough of our record and focus to invite us to partner. You shouldn’t expect any change in our mission, identity or team as a result of this new partnership. Affiliation with NWF doesn’t affect Conservation Northwest’s autonomous legal, decision-making or financial status. But it does give us access to a prominent national partner for policy, media, lobbying and other functions. In that way, you can expect we will be even more effective in pursuing our objectives of a wild Northwest!